Home » Climate Change » California Ablaze: Nature’s Revenge? Fires torch hundreds of thousands of acres in California. Just a few short weeks ago I discussed the terrible hurricanes that affected Houston, the Caribbean Islands, and Florida this year. Now, the headlines are full of the wildfires that have been raging in California. 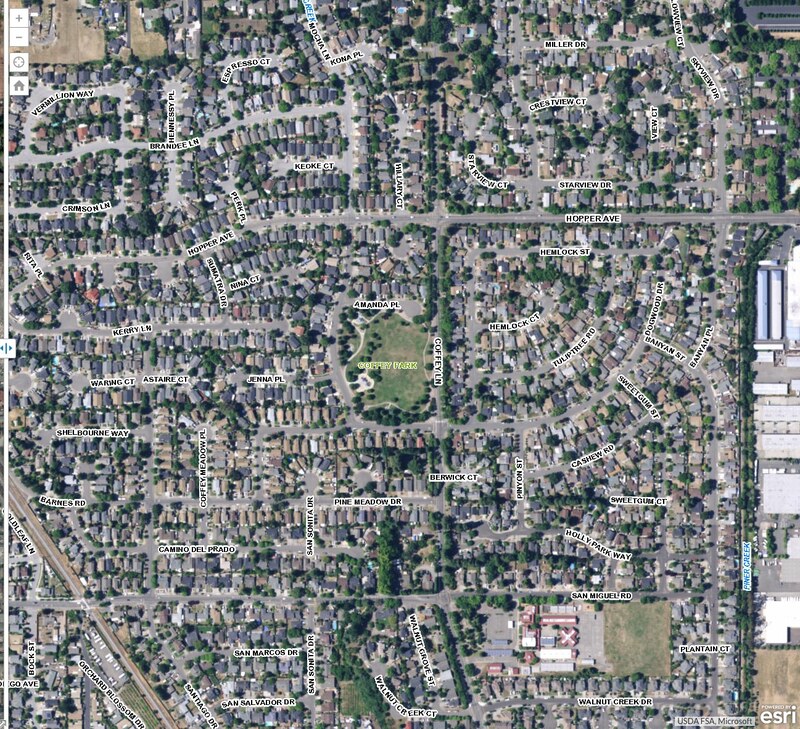 Figure 1: Coffee Park Neighborhood, Santa Rosa CA, in 2015. Source: City of Santa Rosa. Figure 2. Coffee Park Neighborhood, Santa Rosa CA, after the fire. Source: City of Santa Rosa. Figure 3. 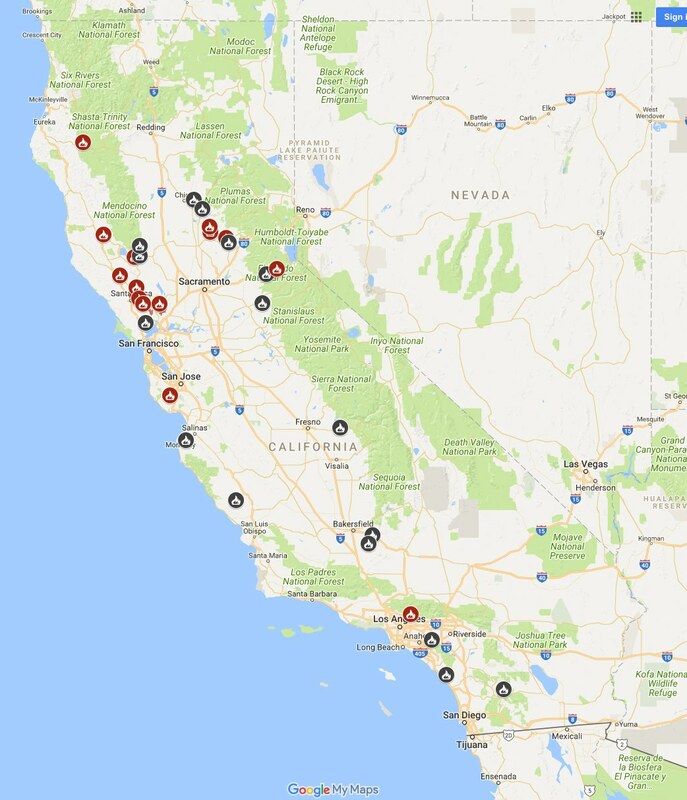 Fires Responded to by CALFIRE in 2017. Source: CALFIRE, 2017. Figure 4. Data source: National Interagency Fire Center, 2017. At a recent workshop of wildland fire experts, the consensus was that the United States was experiencing wildland fires that were behaving in aggressive, destructive ways that had never been experienced before. (National Academy of Sciences, Engineering, and Medicine 2017) What is going on? 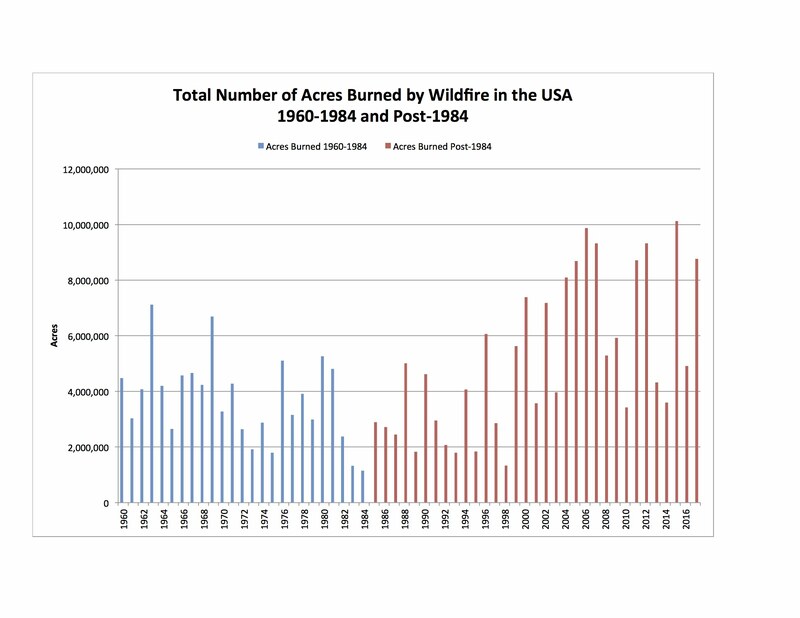 In a series of posts last year, I explored the role that wildfire plays in western forests and showed that, though the number of fires did not seem to be trending higher, the number of acres burned per fire did. The result was that more acres per year were burning. There seemed to be 3 causes. One was that, while for decades fire was regarded as an unmitigated evil and suppressed as vigorously as possible, it was now regarded as a necessary part of forest ecology, and was allowed to burn without suppression efforts in some cases. A second reason was that decades of suppression had left western forests littered with dead and downed wood, perfect conditions for small fires to grow into huge raging crown fires that destroyed tens of thousands of acres. And a third reason was that climate change had raised summer temperatures, causing forests to dry out earlier in the season, turning small fires that would extinguish on their own into large, destructive fires. Wildfire needs three things to grow, and it got all of them: warm temperatures, lots of dry fuel, and high winds that were hot and dry. The fires blew up into raging infernos. Blowing sparks along at 70+ m.p.h., the wind and the fire outraced the firefighters. In a span of only a few hours, tens of thousands of acres were reduced to ashes, whole neighborhoods were destroyed, and dozens were killed. CALFIRE. 2017a. Incident Information: Number of Fires and Acres. Viewed online 10/17/2017 at http://cdfdata.fire.ca.gov/incidents/incidents_stats?year=2017. Cal Fire. 2017b. Statewide Fire Maps. Downloaded 2017-10-17 from http://www.fire.ca.gov/current_incidents. City of Santa Rosa. 2017. 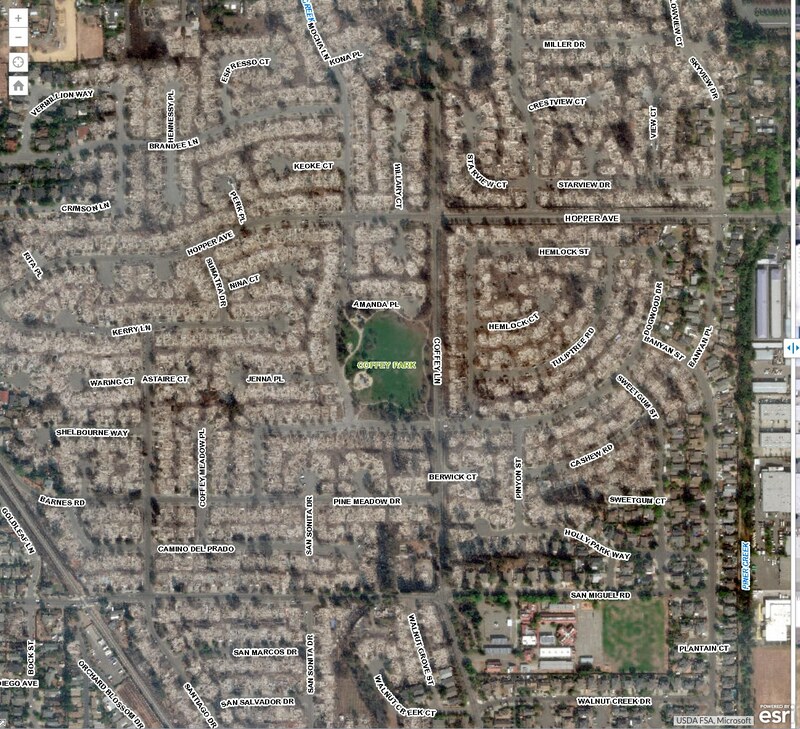 Emergency Information Homepage: Fire Aerial Photo Comparison. Downloaded 2017-10-17 from https://www.srcity.org/2620/Emergency-Information. Fountain, Henry. 2017. “California Winds are Fueling Fires. It May Be Getting Worse. New York Times, 10/11/2017. Viewed online 10/17/2017 at https://www.nytimes.com/2017/10/11/climate/caifornia-fires-wind.html?action=click&contentCollection=climate&region=rank&module=package&version=highlights&contentPlacement=1&pgtype=sectionfront. Lincoln, Abraham. 1865. Second Inaugural Address. Viewed online 10/17/2017 at http://www.bartleby.com/124/pres32.html. National Academies of Sciences, Engineering, and Medicine. 2017. A Century of Wildland Fire Research: Contributions to Long-term Approaches for Wildland Fire Manage- ment: Proceedings of a Workshop. Washington, DC: The National Academies Press. doi: https://doi. org/10.17226/24792. Downloaded 8/25/2017 from http://nap.edu/24792. National Interagency Fire Center. Year-to-Date Statistics. Viewed online 10/17/2017 at https://www.nifc.gov/fireInfo/nfn.htm. By mogreenstats in Climate Change, Land, Weather Patterns on 2017/10/26 .